In this workshop, we will introduce participants to soft circuits using sewable LEDs, photoresistors, and power supplies. Participants will learn basic analog circuit principles (i.e. parallel vs. series). 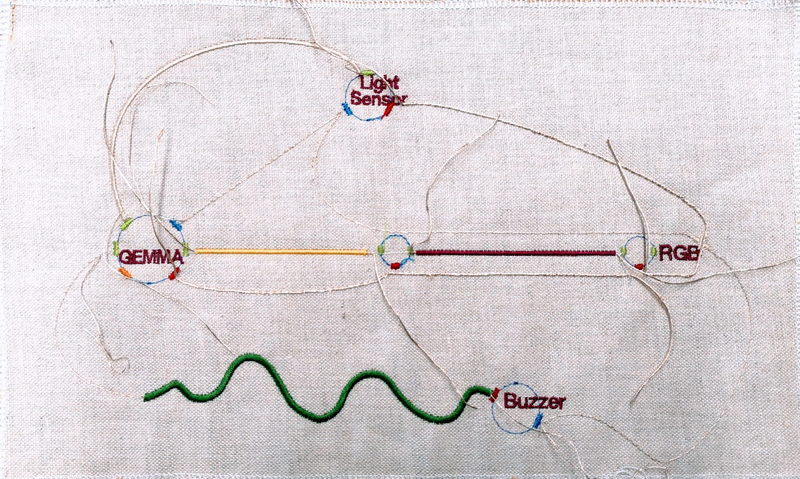 We will lay a basic circuit using an LED and a soft switch using the Tajima embroidery machine. This is an introductory workshop with no prerequisites in sewing or electronics (“Drawing with Threads” workshop an asset). Please send an e-mail to textiles.materiality@concordia.ca to register for the workshop.